A mechanical movement is a prime candidate for macro photography. Because a watch is so thin, it’s easy to overlook how deep a watch movement really is. But, with a macro lens and some time to kill, you can showcase the depth of the modern mechanical movement. The first watch I ever got with an exposed caseback was a Lucien Piccard automatic. The next, which remains my favourite to this day, was the 2013 Hamilton Jazzmaster Auto Chrono. 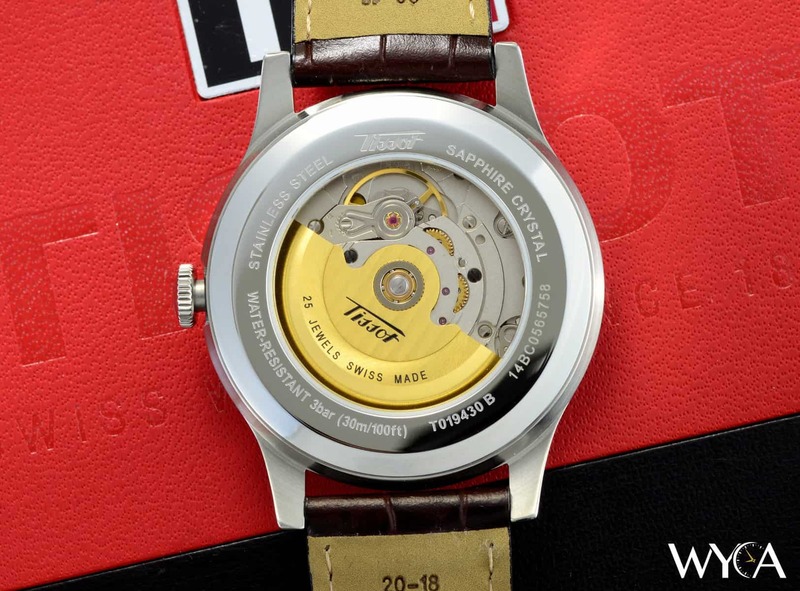 But, it was the photo I took of the automatic in the Tissot Visodate Heritage that me really interested in taking photos of movements. Image taken from my review on WYCA. The majority of the watches in my collection are automatics, and I’ve taken photos of most of them. When sharing my passion for wristwatches, I’ve noticed that people start to get it when they see an automatic with an exhibition caseback for the first time. A watch is a watch, but a mechanical watch is special. Almost everyone finds interest in it. Mechanical movements are easier to get fun shots of because they don’t have a big rotor hogging all the real estate. There’s a ton of stuff going on inside this movement! One of my favourite parts of this view is how clearly you can see (and see through) the rubies.